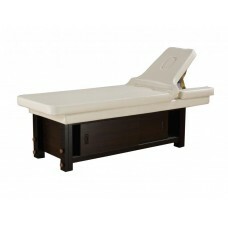 The massage table “KO- 5-1 Oberoi” is a popular model, which is designed for massages and treatments. It is widely used in massage parlors and fitness centers. 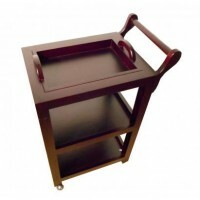 At the expense of quality wood a table is reliable and stable, easy to move and does not take up much space. A table can also be used as a lookout couch, adjustable head part provides this. The table surface is equipped with a cutout for a head, which can be closed by a soft pillow if necessary. 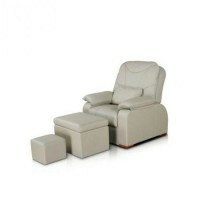 A design and functions of this table will please the master and give pleasure to the client. It will complement your design successfully.